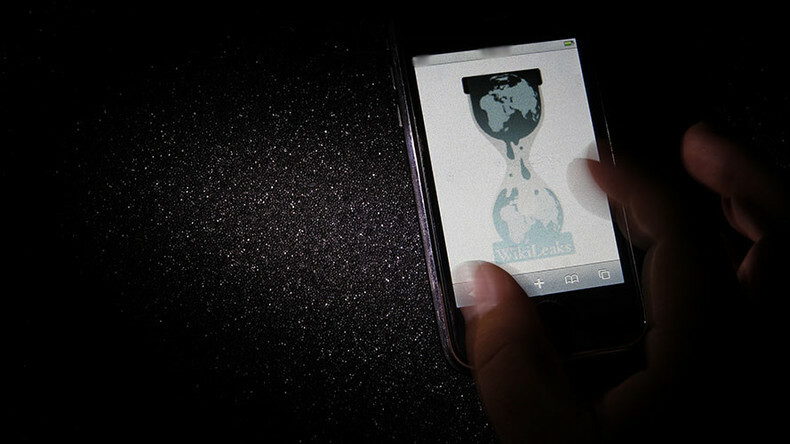 WikiLeaks has released three classified CIA espionage orders revealing details of an alleged seven-month long spying campaign by the agency ahead of the 2012 French presidential election. The documents disclose that all of France’s major political parties were targeted for infiltration by the CIA's human ("HUMINT") and electronic ("SIGINT") spies. The CIA assessed that President Nicholas Sarkozy's UMP party was not assured re-election and ordered officers to find out Sarkozy's private deliberations "on the other candidates" as well as how he interacted with his advisors, according to the documents. The agency also reportedly outlined orders specific to the UMP (Union for a Popular Movement), including obtaining the party’s “Strategic Election Plans" and gleaning private thoughts within the party on Sarkozy’s campaign strategies. The agency also outlined orders specific to the UMP (Union for a Popular Movement), including obtaining the party’s “Strategic Election Plans" and gleaning private thoughts within the party on Sarkozy’s campaign strategies. According to the papers, the CIA justification for seeking detailed information on the inner workings of the party was to assist “analysts assess and prepare US key policymakers” for the post-election French political landscape and the potential impact on US-France relations. Another secret CIA order included in the leaks entitled, "Non Ruling Political Parties and Candidates Strategic Election Plans," demands information on rising party leaders and emerging political parties. The information sought ranged from party strategies, opinions on the US and efforts to reach out to other countries, including Germany, UK, Libya, Israel, Palestine, Syria and Cote d'Ivoire. The CIA also requested details on how candidates were funded, their views on the French economy, and the Greek debt crisis the documents indicate. The agency was also interested in French political opinions on the German model of export-led growth and any specific proposals that would help solve the Eurozone crisis. The documents indicate that the CIA operation initially ran for 10 months from November 21, 2011, to September 29, 2012, and continued after the April-May 2012 French presidential election and into the formation of the new government. The revelations are contained within three alleged CIA tasking orders, totaling seven pages, and published by WikiLeaks as context for its forthcoming ‘CIA Vault 7 series’. WikiLeaks began tweeting about the mysterious ‘Vault 7’ series earlier this month, sending speculation into overdrive online over what the cryptic tweets indicated.